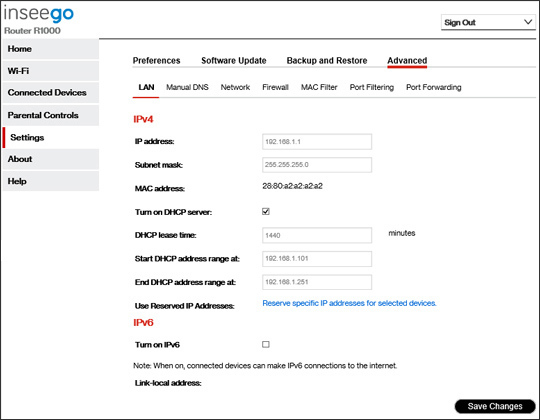 Connected devices can make IPv6 connections to the internet when a check mark is present. 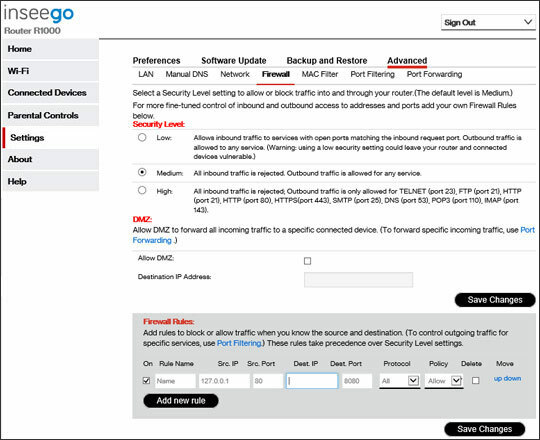 Configuration of manual DNS is allowed when a check mark is present. 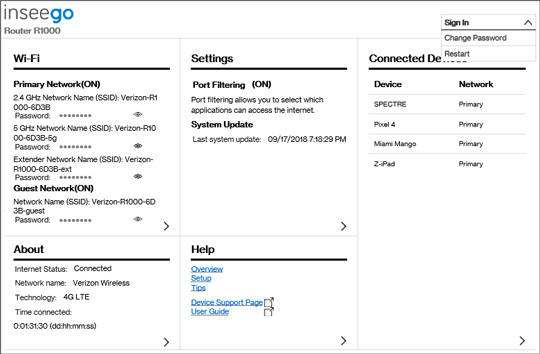 Changing the Access Point Name (APN) may affect the performance and Internet connectivity of the device. 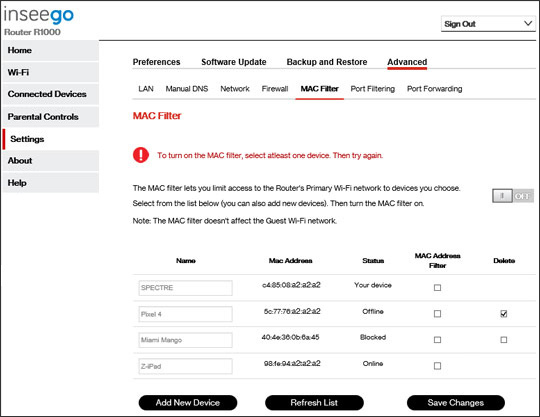 Click the MAC Filter tab, click the MAC Filter switch to turn on or off .